Freedom 251 Maker Seeks $7.4 Billion From Indian Govt. Mr Goel says the business will still lose about 150 rupees ($2.2) on each phone and hopes the government will step in with subsidies. Our rough and basic calculations estimated that the government would have to pitch in something to the tune of at least $440,000 for the company, Ringing Bells Pvt. Ltd., to break even. But it seems the company has other plans in mind, as the makers have pitched to the government to help in with just some more spare change…around 50,000 Crore INR, or $7.4 Billion US dollars. 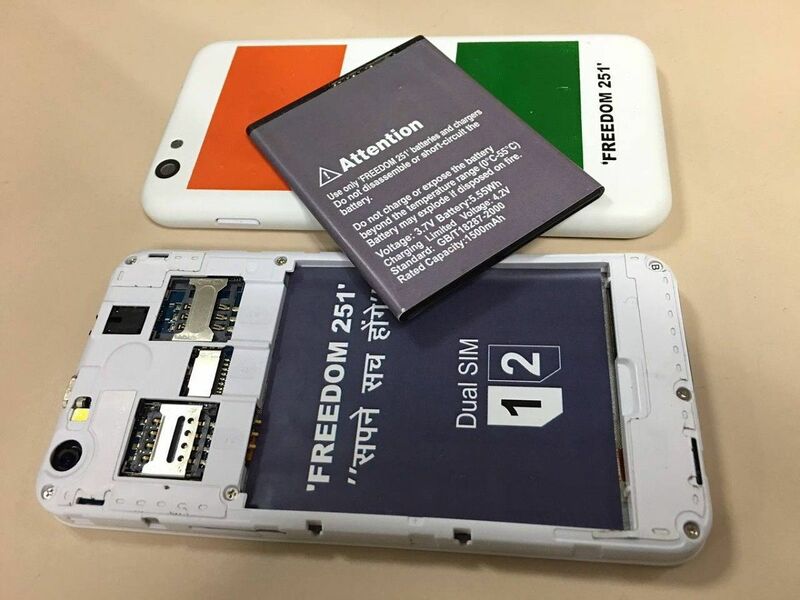 According to a news originating out of IANS (Indo-Asian News Service) and reported by Economic Times, the makers of the loss-facing venture have made another pitch to the government for its support in making the Freedom 251 and its vision work for the large Indian population. The first batch of 5,000 Freedom 251 units will be out for delivery from July 8, but the maker is still hopeful for government support on the business venture. The initial loss faced per handset, according to the CEO, is Rs. 930 ($13.78) while the handset itself would cost Rs. 1,180. Of this, the company has managed to recover Rs. 700-800 ($10.37 – $11.86) from app developers and through the revenue generated from advertisements on the Freedom 251 website. The total loss per handset is expected to be in the range of Rs. 180-270 per handset ($2.67 – $4). In a letter written to the Prime Minister’s Office dated June 28 asking for a meeting with Narendra Modi, Ringing Bells said: “We have brought ‘Freedom 251’ which we offer on ‘Cash on Delivery’ terms but we have a gap between the BOM (Bill of Materials) and the Selling Price. We, therefore, humble request government support to actualise the objective to cascade the availability and usage of smartphones all through the far reaches of our great nation”. The price quoted in the aforementioned reports is certainly not chump change, as the CEO hopes the government will pitch in with Rs. 50,000 Crore, or $7.41 Billion USD. This “small help” will ensure that 750 Million of India’s population will become part of “Digital India” by owning a smartphone at Rs. 251. Just for the sake of bringing some relative sense to these giant numbers, the total population of India as of July 2016 is estimated to be 1.33 Billion. The population of the world is estimated at 7.43 Billion, which is coincidentally about what the makers of Freedom 251 want, when converted to USD. That’s 1 USD per person alive on the Planet Earth at this time, in order to provide roughly half of India’s population a smartphone at nominal costs. This ginormous figure is what Ringing Bells hopes the government will pitch in eventually. Or, they can not give the company the money directly and instead get it manufactured by another vendor under the Freedom brand. Because why not. According to the information we published in our last report, there were 200,000 Freedom 251 units produced and ready to deliver. But now, only 5,000 units will be initially delivered and then customer feedback will be invited. The company also claims to have 500 service centers across India to address people’s queries. If the company gets its way, taxpayers will eventually burden the cost of “Freedom”.